A boutique publisher of books dealing with South Australian history. Sarlines Railway Books is a "Boutique" publisher of limited-edition books relevant to the history of railways in South Australia. The books are produced by author John Wilson, a retired occupational physician having re-invented himself as a historical researcher and writer, with a passion for railways and digging into history. The books are thoroughly researched, produced to a high standard of reproduction and proudly printed in Adelaide by OpenBook Howden. 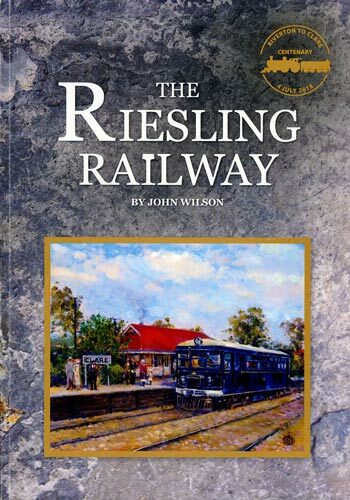 The Riesling Railway, published July 2018, is was the first book produced by author John Wilson and is about the history of the Riverton to Clare and Spalding branch-line that was produced for the centenary of the opening of the railway to Clare in July 2018. This book comes with a USB flash-drive that contains many maps, diagrams and useful information. "My next book, Bob's Railway, will be released May 2019, a serious history of the travels of "Bob" the railway dog. Bob rode the trains in South Australia, and into Victoria and New South Wales from 1884 to 1895. The book deals with more than "Bob". 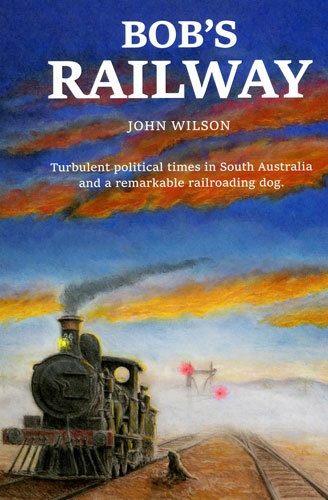 It was the era of political instability in South Australia and in consequence, the colony's Railway Department was dysfunctional." Hall’s Well was on the narrow-gauge railway between Peterborough and Quorn. Photograph taken in 1965. The weekly Willunga goods train headed by No. 706 departing Mile End, 1966. 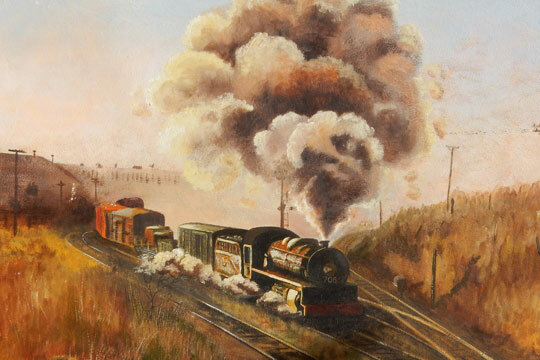 Painting by Ken Field. Sarlines Railway Books are about, but not exclusive to, the operations of the former South Australian Railways (the SAR) with the content being dominated by social history and folklore. These books are as much about the wicked antics of politicians of decades past, as they are about technical things like automatic couplers and Westinghouse brakes. I have had a passion for railways going back about 70 years. My professional career has been in the discipline of Occupational Medicine. After decades of writing dreary medico-legal reports I am able to draw on that experience and can often find that I can “spice up” an item of railway history with informed comment relating to occupational medicine. This came about after I had l produced The Riesling Railway, a history of the “Clare line” for the centenary of the opening of the line to Clare. I had set a high standard for production. I was pleasantly surprised that there was a significant number that was willingly able to pay a few more dollars for quality. The recipe for my books is a well-researched history supported by high-quality images and diagrams, with the use of colour where-ever possible. I aim to produce one new title each year. These books are intended for enjoyment and information. My aim is to not disappoint. Join our quarterly newsletter distribution to receive the latest news and upcoming book release dates.